Valued at around USD 290 million, the organized café market in India is estimated to be growing at a compound annual rate of 20%. Coffee chains in India remained an underpenetrated market until the past few years, a consequence of the fact that India is primarily a tea-drinking nation with low coffee consumption, both in terms of frequency and quantity. The per capita coffee consumption in India is 80 gm a year, whereas in developed countries, the consumption is 8 kg a year. However, of late, the Café market has witnessed an aggressive expansion by established brands, and also the entry of new domestic and international players, driven by increased consumer exposure to cafes, with increasing inclination towards tea substitutes. Over the past 5 years, the café culture has grown, with many new cafes opening, primarily in the metros and mini metros. This is due to the forays by new brands and the cosmopolitan culture of these cities. 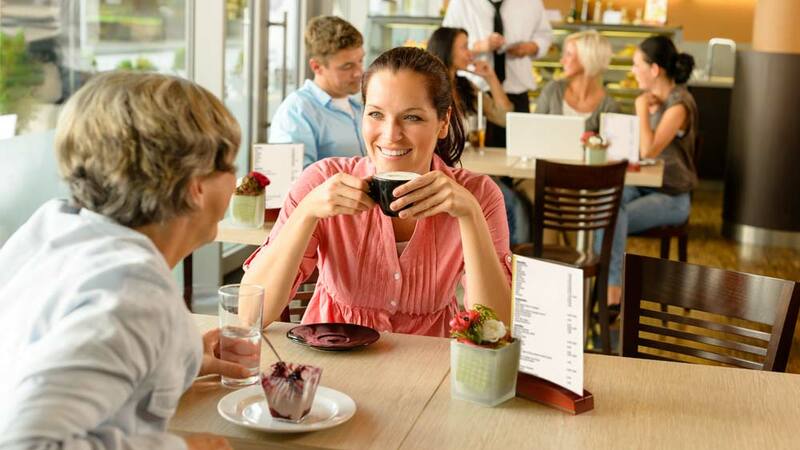 Over the past 5 years, the café culture has grown, with many new café opening, primarily in the metros and mini metros. This is due to the forays by new brands and the cosmopolitan culture of these cities. On the consumer side, cafes are becoming popular hang-out destinations and, at the same time, the evolving consumer lifestyles have given rise to other beverage-based outlets such as Tea lounges (Wage bakri, Infinitea), Liquor cafes (Boombox café, Urban café), Chocolate cafes (The Chocolate Room, Bliss chocolate lounge) and juice/Smoothie cafes (Booster Juice). The Café segment has been burgeoning in India with several domestic and international brands making inroads into the market. Currently, there are ~100 chain cafes and bakery brands, with an estimated 3,100-3,200 outlests spread across various cities in India. As the competition is increasing in the sector, players are trying to differentiate themselves by tailoring their offerings in terms of outlet ambience, services and developing newr products such as regional flavours, international coffee blends, etc. Market leader Café Coffee Day and Barista Lavazza have a presence across all 4 formats, viz. lounge, café, express and kiosk while others like gloria jean’s coffees and Bon Pain have a distinguished presents in more than two formats. In contrast, Coasta Coffee is present only in the Café segment. As for Kiosks which are located mostly in office complexes and offer takeaway and delivery services, the afternoon time (1300-1600 hours)gets the maximum customer traffic due to concurrence with office lunch hours and preference for “On the go” food.